When you hear someone mention that they are taking a trip to Lapland, your first thought, no doubt, is that they are off to see Santa. But, believe it or not, there is a lot more to Lapland than Santa and his reindeer. Lapland is one of the most beautiful locations in the world. Complete with snowy mountains, sledge-pulling Huskies, and the northern lights, Lapland is one place you absolutely have to visit as an adult. As a child, Lapland is a magical snowy land filled with Santa, reindeer and elves. As an adult, you will learn that there is much more to this beautiful destination than meets the eye. If you are a nature lover, then a trip to Lapland is perfect for you. The countryside of this snowy destination is filled with roaming bears, wolves, and wolverines – something that most people will never see outside of a zoo. If you are a keen photographer, this is the perfect location for you to capture some amazing images of wild animals in their natural habitat. You can also explore the mountainous areas and take some stunning shots of the landscapes. Just make sure that if you do a spot of exploring in the Arctic wilderness of Lapland, that you take an experienced tour guide with you. Otherwise, you could put yourself in danger of a wild animal attack – not something you want as a holiday memory. If you are a real Rudolph lover, then you may want to look away. Reindeer is a delicacy in Lapland and features on almost every local menu. While you may not like the idea of eating reindeer, you should know that it is delicious. Reindeer is a fat-free meat that is deliciously gamey and perfect for eating after a day out sledging, skiing or playing in the snow. However, if the idea of eating one of Santas pals is too much, there are also plenty of other yummy dishes on the menu. If you love to fish, then Lapland is perfect for you. Lapland has hundreds of lakes, all of which are fantastic for fishing. The biggest lake is Lake Inari in the north of Lapland; this lake is larger than 1000 square meters. But what about the snow? During the colder winter months, of course, the lakes freeze over, but that doesn’t mean you can’t fish. Lapland is famous for its ice fishing tours and excursions, which although a little chilly, can be a lot of fun. If you are a winter sports adrenaline junkie or just fancy giving a few winter sports a try, Lapland is the perfect destination for you. Believe it or not, there is nothing that is offered in winter skiing resorts that you can’t do in Lapland. 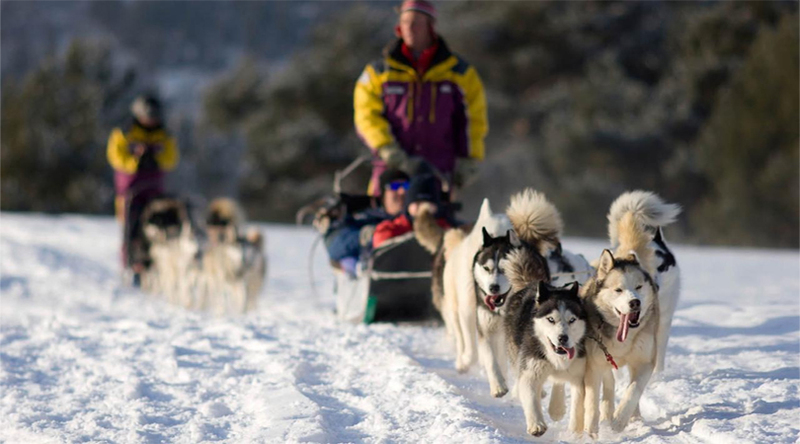 From skiing and snowboarding to tobogganing and snowmobiling, Lapland has it all. One of the best things about experiencing winter sports in Lapland is that the resorts are much quieter and more relaxed than traditional skiing resorts. This makes them ideal for both winter sports experts and beginners, alike. Seeing the mystical northern lights is something that most of us can only dream of us. But if you visit Lapland there is a high possibility that you will get the chance to see these stunning skylights. As most of Lapland is within the Arctic Circle, it is the perfect location to watch the northern lights from. But what are the northern lights? According to an ancient legend, a magical arctic fox swishes his tail and sends sparkles into the sky, creating the beautiful northern lights. Very few places in the world still have thriving communities of indigenous people. Lapland’s indigenous Sami tribes, originated in the far north of Lapland, comprising of parts of Sweden, Finland, Russia, and Norway. In Lapland, there are around 10,000 Sami people. You can learn about their lifestyle, heritage and culture with guided tours, museum visits, and special events. Although there are many areas of Lapland that are virtually untouched, there are also plenty of urban areas too. Rovaniemi, the capital city, and gate to the area, is an urban area, packed full of unique architectural designs and intriguing museums. Rovaniemi is one of the best places to see art in the region; there are always plenty of museums and concert halls packed full of unique and interesting pieces of local art. The birch, pine and fir forests of Lapland are truly beautiful places to explore, ideal for a day-long or even overnight hiking expedition. All through Lapland’s national parks is a zig-zag of wooden huts, complete with blankets, bedding and fire supplies. These huts are free for hikers to use for the night as they travel up through the forest. If the idea of trekking through the forests of Lapland alone is a scary thought, you can always hire a guide along with you. If you aren’t an experienced hiker, this is most probably the best bet. For local people, saunas play an important part in daily life. A real sauna should be amazingly hot, can stay hot for hours at a time and should be used completely naked. If there is one thing you have to try while you are in Lapland, it is a real sauna. Local people love saunas so much, that many use saunas as meeting places to chill out and relax in with friends. 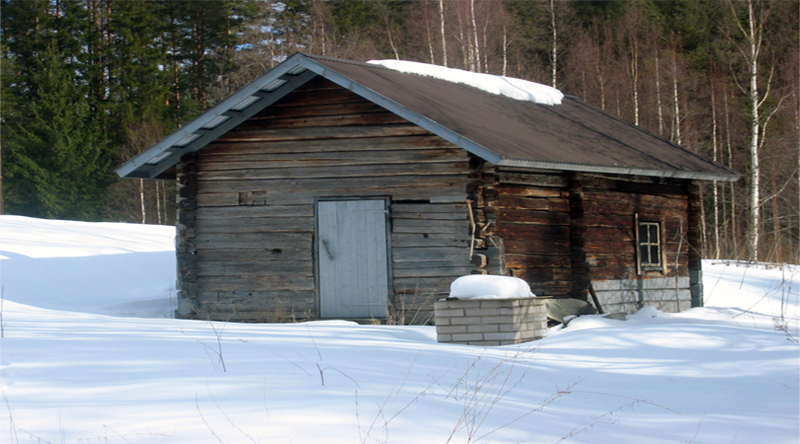 Saunas in Lapland range from smoke saunas and hot stone saunas to electric saunas and even, ice saunas. Spending time relaxing in a hot room is an incredibly popular pastime for local people. Lapland is a truly wonderful place, and Santa and the elves aside, it is a place that must be seen and explored in adulthood as well as childhood.